Here we go. This year’s Christmas Cocktails. Special thanks to our mixologists Chris Lintott and Meg Schwamb! 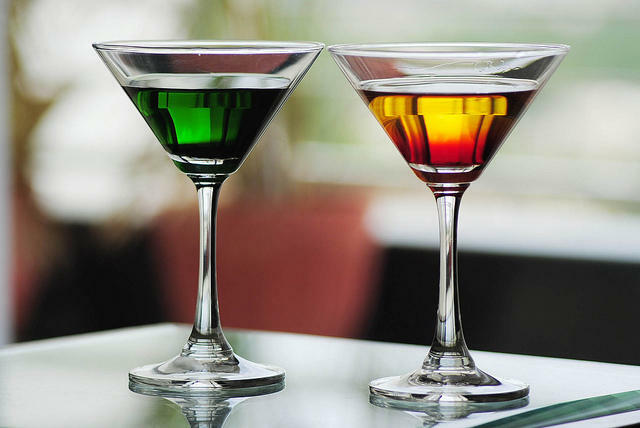 This cocktail depends on as yet undiscovered particles, and while it is not fully understood its effects on the baryonic world are easy to observe. Shake 3 cl of spiced rum (ideally, of course, Dark Matter rum: http://www.darkmatterdistillers.com/) with 4.5 cl of lemon juice and 1.5 cl maraschino liqueur to make a Christmasy version of a classic gin cocktail. (This cocktail may have something to do with the fact that I bought the rum for the name alone, but it is tasty). Like the LIGO experiment which provides the data for Gravity Spy, a perfect Vesper martini depends on very careful measurement and precise observation. Combine equal parts excellent vodka and London gin with a dash of dry martini (I’ve been using Sipsmith). Consider adding a teaspoon of yellow chartreuse if you have it. Shake well with ice for about 15 seconds, then pour into glasses. Wait until a ripple of spacetime caused by merging black holes passes through the cocktail, then drink. Make a normal margarita (equal parts tequila, triple sec, lime) but serve in really small glasses. Make simple syrup by dissolving one cup of sugar in an equal amount of boiling water. Add a rosemary sprig or two while this cools, then shake with 2 measures of gin, a tablespoon of lemon juice and double that of pomegranate juice to ensure Martian colouration. Serve over ice, topped with club soda.